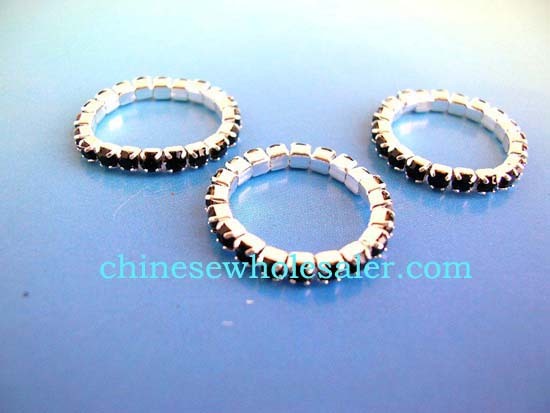 China online gift jewlry shop distributing wholesale for retail sales. Fashion stretchy ring with dark red rhinestones inlaid throughout. Stretchy rhinestone ring with dark red gems inlaid throughout entire ring.